First Name First name of customer. Surname Family name of customer. Sales Rep Sales representative staff who served the customer. 3. Click “Save” button at the bottom of screen when done. The created retail customers will be available for selection in the Point of Sale Entry (Cash Register). 5. Click on “Revert” button at the bottom of screen or refresh icon at the top of the screen to roll back the changes. 6. User can do mass update of retail customer records from the list view. 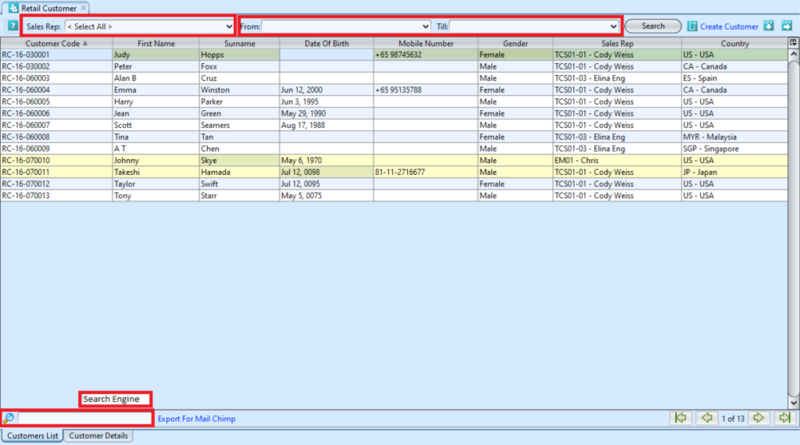 Select multiple lines in the list view and right-click mouse to show more options. 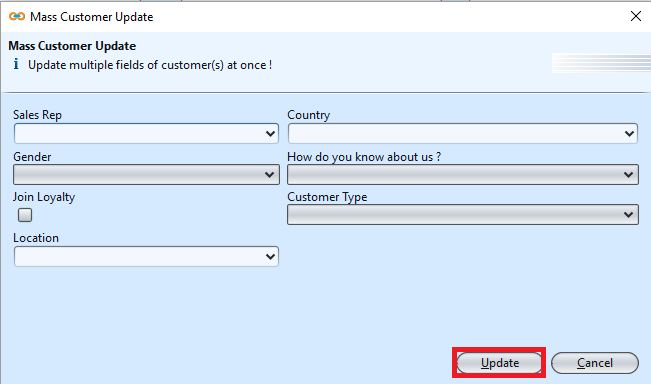 Select “Mass Customer Update” and choose which data field to update for the selected records. Click “Update” button to proceed with the update. 4. Click on “Yes” button on the pop-up window to confirm record deletion. 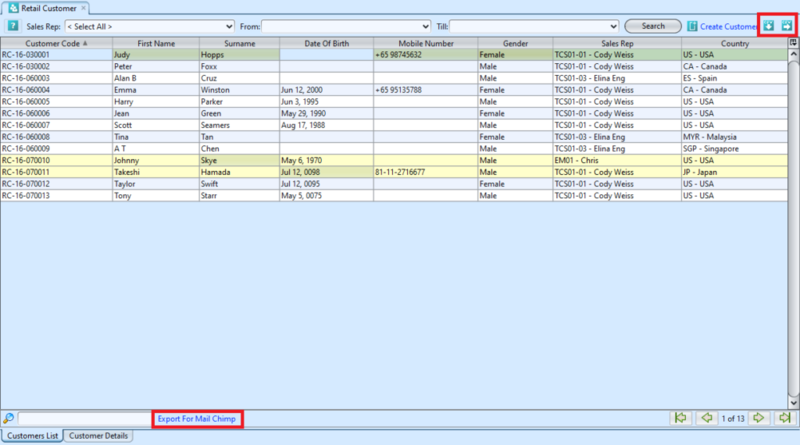 Inactive retail customer records will be highlighted in yellow in the list view. 2. Click “Export to CSV” button to export listed retail customer data, user can filter the list to only show data to be exported. 3. 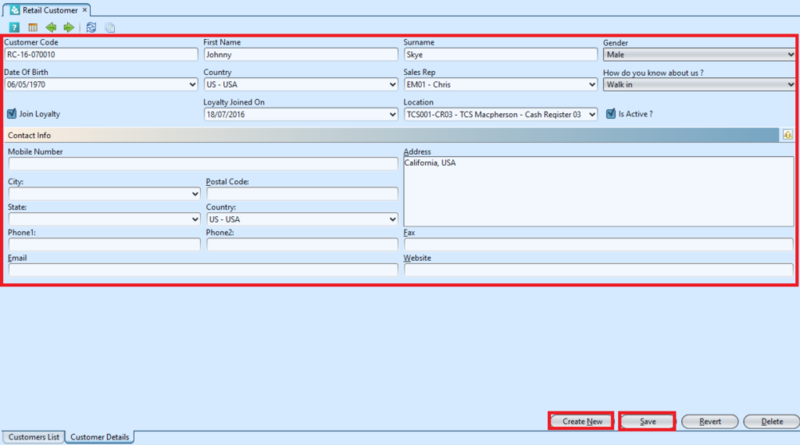 Click “Import from CSV” button to import retail customer data. Use “Export to CSV” feature to get the file template with example. 4. 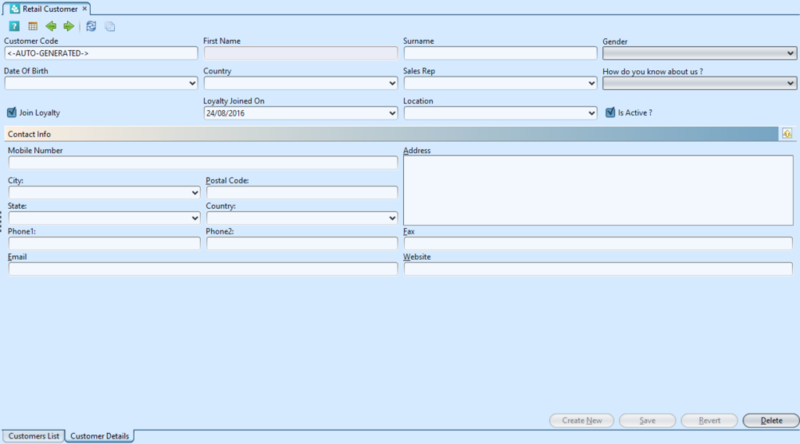 User can also export the retail customer data for Mail Chimp using “Export for Mail Chimp” feature.